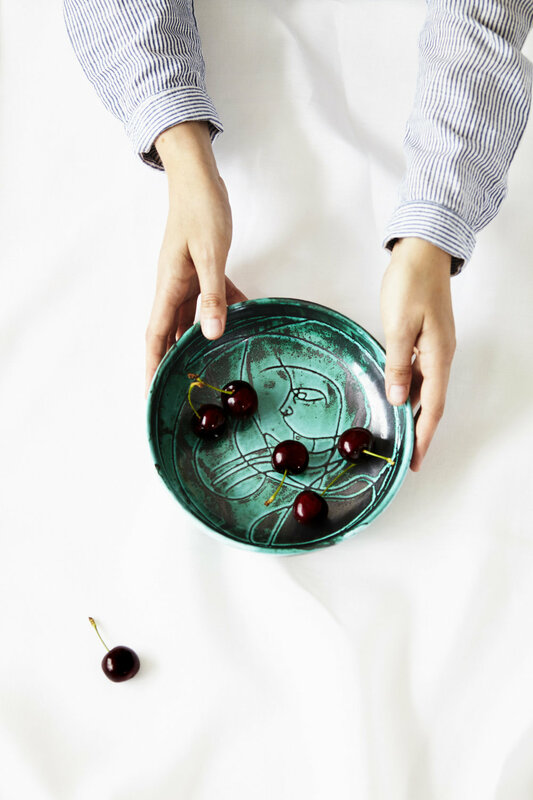 At this year's designjunction I had the pleasure of meeting Emma Cerasulo, who showed me her beautiful collection of bright green earthenware bowls named Mediterraneo. At first glance you'd think that the etchings in on their surface are just random scribbles. On closer inspection, faces and figures begin to emerge from the vivid green glaze! These are easily the most memorable thing I saw at the whole show. 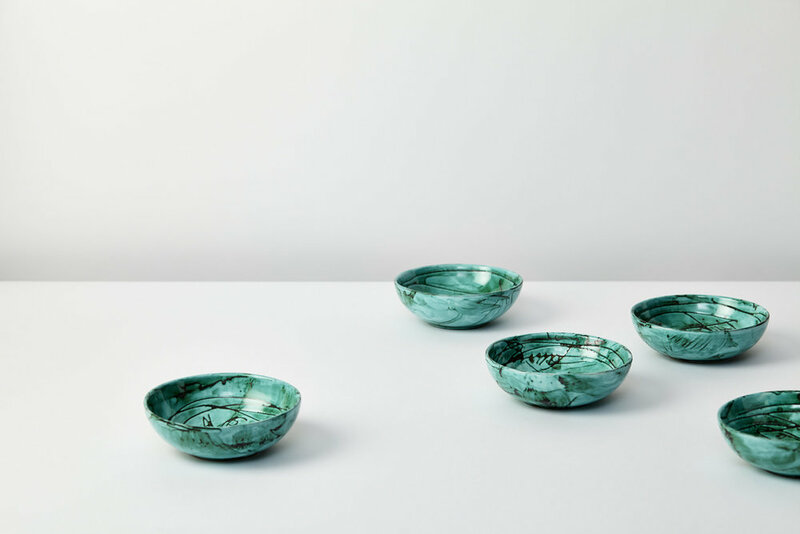 They would make beautiful display pieces, but the bowls are deliberately designed to be resilient enough for daily use. Emma envisages them as serving dishes for sharing treats or snacks among friends, but you could just as easily use the XL as a fruit bowl, or the small as a pretty jewellery dish. The collection is made by hand in in a cave in Puglia, Italy, where Ciro Fornaro's family pottery is excavated from the hills of the Quartiere di Ceramiche Grottaglie. Creating them in small batches allows the potters to employ traditional casting and firing methods - the particular technique used to create these bowls can be traced back in the Greco-Roman era, around 200BC. It's this clash between traditional techniques and modern design that makes them so fascinating. Prices start at £16 for a small bowl (14.5cm diameter). All images courtesy of Emma Cerasulo.